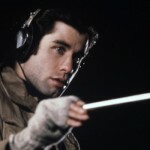 Welcome to Sunday Afternoon with Criterion, a series of posts on JohnLikesMovies.com covering everything Criterion—the company’s newest releases, just-announced projects, reviews, lists, links, and more. It’s been a while since my last post in this series, but the deluge of doc screeners I’ve been going through lately made me yearn to take in a classic. 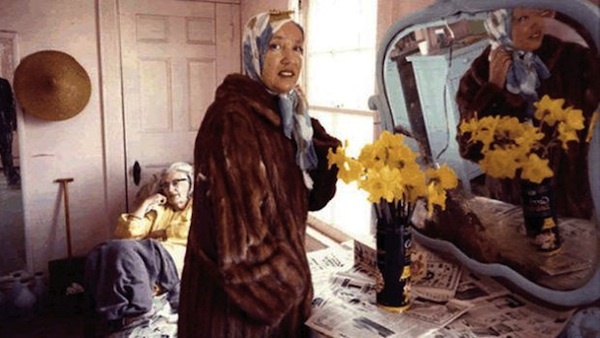 Ironically, I opted for a doc—the Maysles’ Grey Gardens—which is the focus of this post. And since it’s been a while, I’m playing catch-up when it comes to sharing my thoughts on new Criterion titles announced. Some quick hits on the December 2013 and January 2014 Criterion lineups below. Finally, it’s November, which means Barnes and Noble 50% off sale. I made my first purchase yesterday, and a few more titles are poised to join my personal collection. But without any further ado, I give you Edith and “Little Edie” Bouvier Beale. “You can’t handle the truth!” is one of the indelible movie quotes, and while Jack Nicholson didn’t utter it for 17 years after the Albert and David Maysles followed the Beale women and released Grey Gardens, it seems like a fitting way to summarize my non-plussed, nay annoyed take on this undeniable classic. Cinéma vérité is the genre of filmed truth, and Grey Gardens is cinéma vérité. 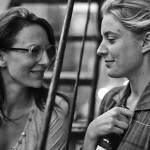 The film is nothing more than a chronicle of an undisclosed period of time with two women in one place. The “characters” are very much aware that they’re being filmed, and the Maysles and their crew don’t hide their participation in the project—often showing up onscreen or speaking directly to the women. But as far as great truths being gleaned from the project, the only two that stuck with me are that the Beales are irritating as hell and that shadowing women with even minor mental problems is extremely uncomfortable. I vacillated wildly throughout Grey Gardens between repulsed by the characters and repulsed by the project. It’s certainly a subject worthy of exploration. The women are the only two I’ve ever heard of that could accurately be described as reclusive socialites, and their relation to glamorous first lady Jackie Kennedy (Edith is Kennedy’s aunt; Edie her cousin) makes the juxtaposition between celebrity and hermit all the more juicy. But the approach only works in theory because spending time with the Beales is torturous. 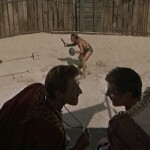 They shriek and mope in squalor for 100 minutes. They live in a world that’s utterly unrecognizable, even in 1975. And that’s among the truths the Maysles reveal—successfully for most—but that simply wasn’t worth my investment. While I recognize its importance and influence, I truly loathed this movie. I’ll begin with what’s new to my collection. I just became the proud owner of a brand new John Cassavetes: Five Films box set. Such a beaut. And the November Barnes and Noble Criterion sale isn’t over for me yet. Soon, Frances Ha (still one of my favorite films of 2013) will join my library, as well as Max Ophüls’ Lola Montès and maybe something else…we’ll see. Now, if the sale extends one more week into December (it’s currently set to end December 2, 2013), I’ll most certainly be picking up Robert Altman’s Nashville. A film I’ve been waiting a long time to join the Criterion Collection, Nashville is a must-own as far as I’m concerned. Arguably the most universally beloved film from one of my very favorite directors, it’s the highlight of a great December Criterion lineup. Other December titles include Elio Petri’s Investigation of a Citizen Above Suspicion, which sounds terrific; a dual-format re-release of Grey Gardens (yeah, I won’t be picking that one up); and a box set titled “Martin Scorsese’s World Cinema Project”, which contains six titles from around the world. According to the Criterion site, the WCP was founded to preserve and present marginalized and infrequently screened films from regions generally ill equipped to preserve their own cinema history. It’s a pretty essential release, even if the films aren’t ones I’d heard of until the set was announced. That said, most of the films are available on the Criterion Hulu Plus channel, so I might dive into that pool before forking over $100 to own the physical copies. 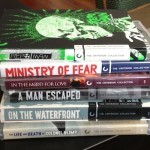 January, improbably, is an even bigger month for Criterion with a whopping seven releases including an Eclipse Series box set (titled “Late Ray”), a dual-format upgrades of Kurosawa’s Throne of Blood and Jules Dassin’s Rififi, Michael Mann’s Thief, Terence Davies’ The Long Day Closes, Aki Kaurismaki’s La Vie de Boheme, and a crazy five-disc package for Stanley Kramer’s It’s a Mad, Mad, Mad, Mad World. It’s the Kramer that’s got me most excited, but come the next Barnes and Noble Criterion sale (presumably July 2014), I expect to purchase Thief and Throne of Blood, too. I bought some stuff from the sale yesterday like The Tin Drum, The Ballad of Narayama, Salo, La Notte, and the Complete Jean Vigo as I have a few more that I’m waiting for. The Ballad of Narayama is interesting. It was tough for me to get into, but by the end, I was pretty hooked. One of those movies that’s better in my memory than it was while I was watching it, if that makes sense. I own The Complete Jean Vigo, too, but I’ve been waiting for a free weekend sometime to dig into the whole thing. A lot of the stuff I bought play into what I want to see for next year. Some are the Blind Spots I plan to do for next year and some are related to Auteurs profiles that I’m going to do next year as I’m going to unveil everything next month.